IMPORTANT DETAILS & DATES - click here!! It's a great opportunity for our community to support student reading initiatives and provide support for the school. Students are encouraged to read as much as they can and solicit family, friends, and neighbors to make a pledge for their efforts. After the reading ends, students report on their reading achievements and collect money from their sponsors. The money raised from the Read-a-thon supports essential school programs such as reading and math intervention programs and enrichment activities. Prizes are awarded to top individual performers and classrooms. Prizes have included gift certificates, ice pop and pizza parties, trophies and much more. 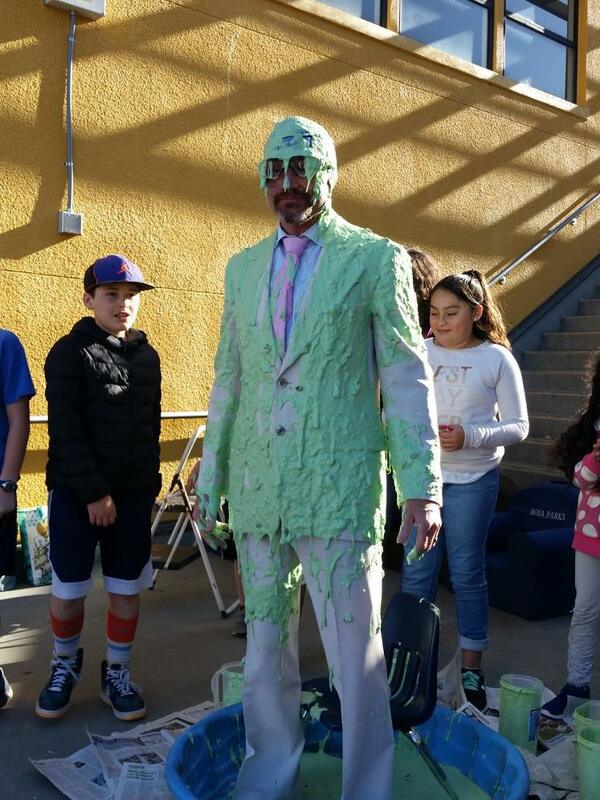 Students who get 10 or more sponsors are entered into a draw to win the opportunity to SLIME PRINCIPAL FURLAN at the end of the Read-a-thon assembly!! !